At the rear of the house, the architects created a low-slung space that hews closely to the site's slope, making room for a second living room that connects to the garden via folding doors, as well as a new bathroom and laundry. 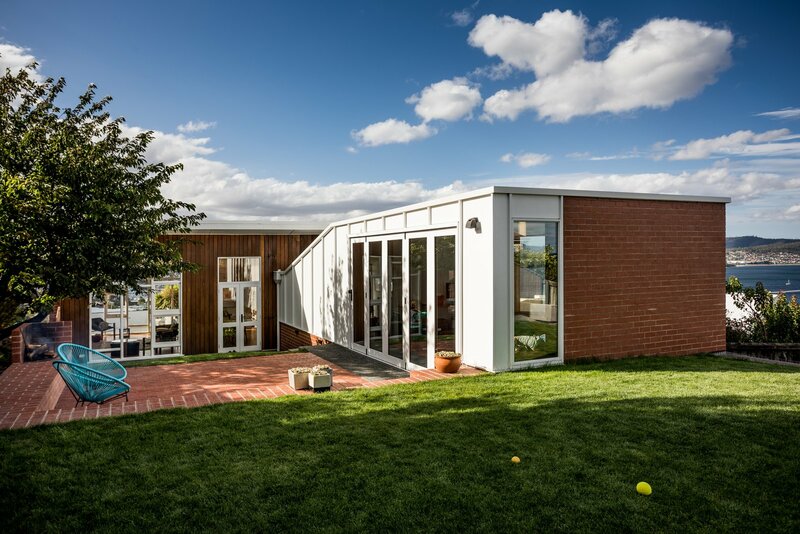 "We kept the volume of the extension low to preserve the lyricism of the original roof," write the architects. Note the repetition of the brick and how the exterior cladding "adopts the materiality" of the original white-framed fenestration that Emery employed.